Orlando Stadium sponsored by Lafarge is the heart of Soweto as it boasts a rich and proud history that dates back to 1959 when it was originally built. 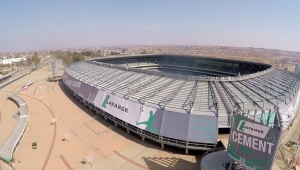 After being demolished and rebuilt from scratch at a cost of R280 million, the new look Orlando Stadium now houses a capacity crowd of 37 139 spectators which includes 21 hospitality suites, two open hospitality areas, conference rooms, a gymnasium and a 200-seater auditorium. 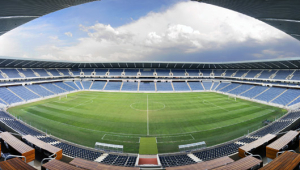 Not only is the original ‘Mecca of South African football’ home to local giants and 1995 CAF Champions League winners, Orlando Pirates – but the venue has also moved up the popularity ranks for its hosting skills in major sports and entertainment events. In 2010, Orlando Stadium hosted the 2010 FIFA World Cup South Africa ™Kickoff Concert that featured some of the biggest music acts in South Africa and abroad, namely Hugh Masekela, the Parlotones, Freshly Ground, the Soweto Gospel Choir, Alicia Keys, John Legend, the Black Eyed Peas and Shakira. 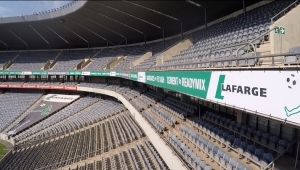 The venue continued to raise the benchmark in South African history as it hosted the first ever rugby matches when the 2010 Vodacom SuperRugby competition semi-final and final fixtures were hosted at Orlando Stadium.